Here are the worst and most common passwords for the last five years as compiled by Splashdata. To make it easier to see the same mistakes and crappy passwords considered to be the most popular year after year, below you will see every list of weak and worst passwords released by Splashdata. Besides LastPass, other popular password managers include KeePass, Dashlane, 1Password, RoboForm, Sticky Password, LogMeOnce, Password Boss, Password Genie, Password Safe, Zoho Vault and many, many more with both free and premium versions. None are perfect solutions, but each is better than using the same sucky passwords that make the list of worst and weakest passwords year after year. But sometimes your new and hopefully stronger password may be rejected as it falls foul of a site’s password policy. It's not like the pathetic passwords compiled by Splashdata would provide any challenge to a hacker and certainly not to rainbow tables. 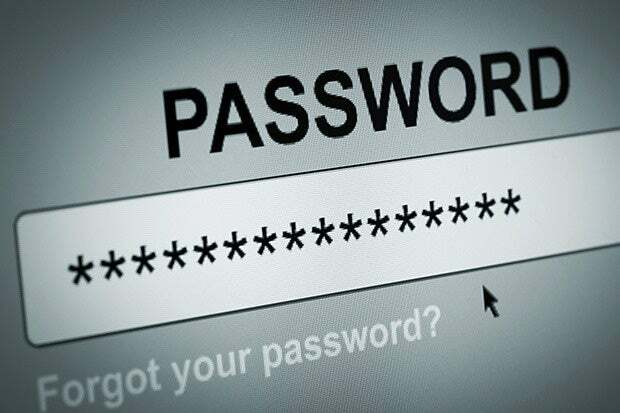 Password resuse is another horrible habit people can't seem to beat. If you reuse the same password and a site is hacked, your email address and password is dumped, would you even know to go change those passwords? It's my opinion that everyone should sign up on Have I been pwned and therefore be notified if your email address shows up in a data dump somewhere. It might even be the first notification you receive of a data breach. When a data breach is not widely reported, cyber thugs can make more money off the data. Hunt won’t cough up bitcoins for that data, even though he has been approached by creeps attempting to monetize hacked data, but it helps data breach victims when he adds information to Have I been pwned. If you are sick and your voice no longer has the same speech input, or if you hurt your hand or a finger and the way you type changes, or if you sprain your ankle or have an injury to your foot or leg and it changes your gait, then what? Would you be locked out? Abacus is far from the only biometric authentication system meant to kill off the password; every year at CES there are a plethora of security tech products to scan fingerprints, palm prints and irises, utilize facial recognition, eye tracking, voice recognition and even monitor behavior. By utilizing a device you already have – your smartphone – Abacus might really have a shot at killing the password. Engadget called Abacus “creepy” and I agree as it requires “constant, invasive surveillance and access to some pretty intimate records.” While it certainly would do away with the pathetic passwords people can’t seem to get away from year after year, it’s unclear if people would actually be cool with Google hoovering up all their biometric data.